Harvest of the Month is a Jackson County, Wisconsin initiative that highlights a different produce item every month. September features cooking demos on WEAU-TV 13, Eau Claire, Wisconsin and a taste-testing event at Black River Memorial Hospital. A video of each Harvest of the Month recipe is also available at www.brmh.net/recipes. BRMH Hospital - Harvest of the Month Avocado Event –April 24, 11:30am – 12:30 pm. Black River Memorial Hospital Café, Black River Falls, Wisconsin. -An avocado has more potassium than a banana. A 1-ounce serving contains 150 mg or 4% of the daily recommended value of potassium. - Avocados make a great butter substitute in baked goods when used in the right quantities. - An avocado has more potassium than a banana. A one ounce serving contains 150 mg or 4% of the daily recommended value of potassium. Ruth Lahmayer Chipps, MS, RDN, CD is Communications Director for Jackson In Action and Registered Dietitian Nutritionist at Black River Memorial Hospital. 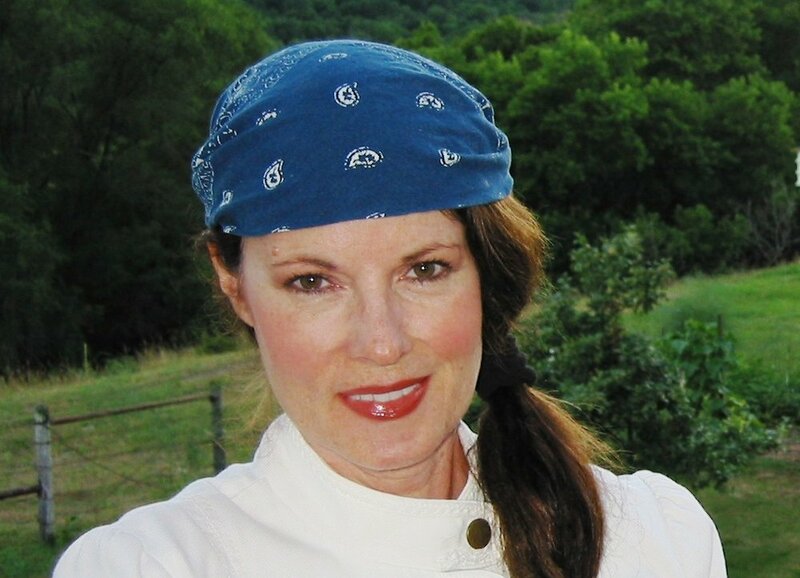 She develops B-WELLthy Harvest of the Month recipes and videos and is a member of the Academy of Nutrition & Dietetics. METHOD: Cut avocado, remove pit and mash the flesh with a fork until completely smooth and lump free. Add to melted chocolate (Melt slowly either the microwave or on the stove; careful not to burn). Stir in peanut butter, brown sugar, vanilla, salt and half of the cocoa powder. Refrigerate for 30-45 minutes. Scoop into rounds or form balls with your hands. Roll in the remaining 1 ¼ Tbsp of cocoa powder. DEVOUR! Variations: Substitute 2 Tbsp. fine minced almonds or other nuts for the peanut butter. The word “truffle” originates from the Latin word meaning lump. They resemble gourmet wild mushrooms (truffles). Harvest of the Month is a partnership between Jackson County Department of Health and Human Services, Black River Memorial Hospital, Together for Jackson County Kids, Ho-Chunk Nation, UW Extension-Jackson County, Lunda Community Center, Boys and Girls Club, Hansen’s IGA, local school districts, The Library and the community. BRMH Hospital - Harvest of the Month Almond Event –Thurs. March 28, 11:30am – 12:30 pm. Black River Memorial Hospital Café, Black River Falls, Wisconsin. Ancient Greeks and Romans ate red, purple and white carrots harvested in the wild. 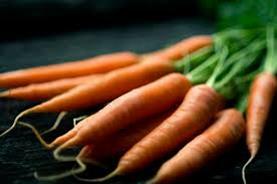 The green tops of the carrot are edible but not many people eat them. 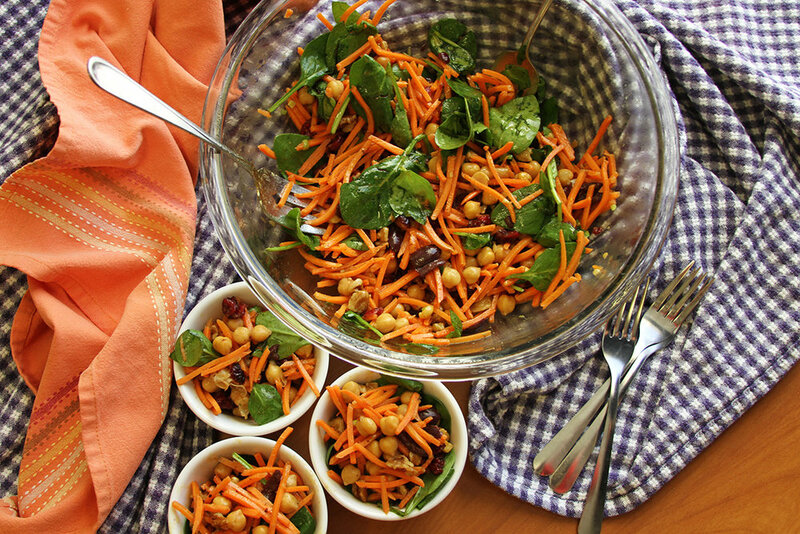 Colorful and delicious with slightly spicy and sweet Moroccan flavors—A Mediterranean delight. 1. 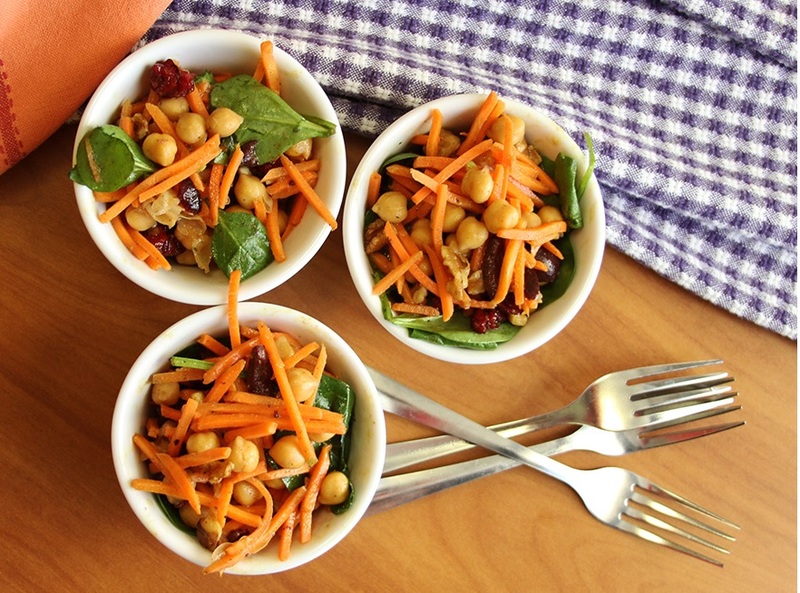 In a large bowl, combine the carrots, spinach, chick peas, nuts, cranberries and olives. 2. In a small bowl, whisk the olive oil, vinegar, honey, Dijon, salt and spices together with a fork. 3. Toss the dressing over the salad just before serving. Add more spices if desired. Serve with your favorite protein – grilled chicken, salmon, boiled eggs, shrimp, etc. BRMH Hospital - Harvest of the Month Almond Event –Wed. Feb. 20, 11:30am – 12:30 pm. Black River Memorial Hospital Café, Black River Falls, Wisconsin. 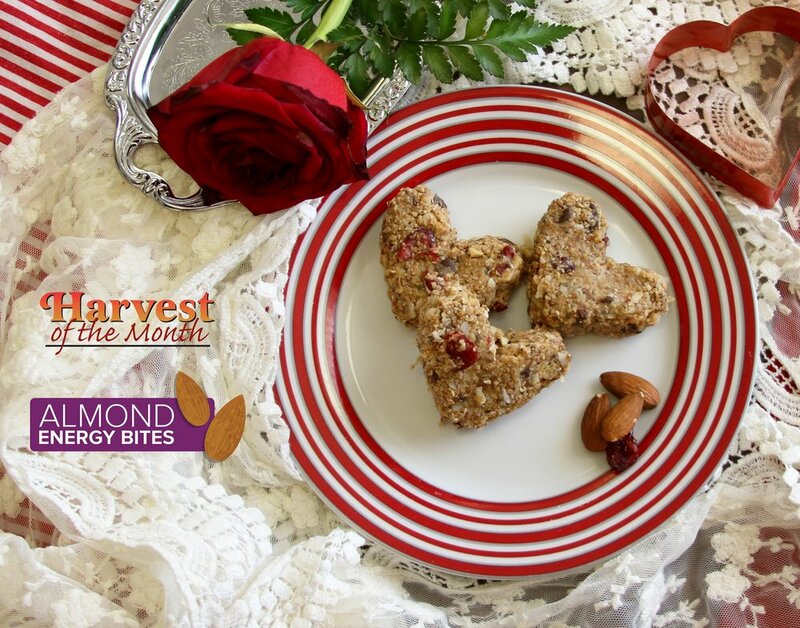 Almond are the feature for February- Heart Month! Almonds are an excellent source of vitamin E, magnesium and manganese, and a good source of fiber, copper, phosphorous and riboflavin. A one-ounce serving has 13 grams of “good” unsaturated fats, just 1 gram of saturated fat and is cholesterol free. Almonds help to slow absorption of sugar and carbs and are a satisfying snack. A portion is considered a small handful or about 23 almonds. Plant-based (Mediterranean-style) eating is recommended to promote health and prevent disease. Almonds are a recommended part of this eating style. This yummy recipe is quick and easy— a perfect snack or breakfast item. Recipe makes 2 dozen / 1 oz. ea. BRMH Hospital - Harvest of the Month Bean Event –Wed. Jan.23, 11:30am – 12:30 pm. Black River Memorial Hospital Café, Black River Falls, Wisconsin. Beans are center stage this month! Varieties of dry beans include pinto, navy, lima, black, garbanzo, and great northern. Beans provide protein, carbs and fiber. They are the mainstay of the Mediterranean-style diet. Beans can be added to salads, omelets, burritos, tacos, chili, & soups. Substitute beans for meat in recipes. Plant-based (Mediterranean-style) eating is recommended to promote health and prevent disease. Dried beans and legumes are key components in menu planning. This simple recipe kicks up the flavor and is bursting with color. Eat the rainbow! 1. In a large fry pan, cook bacon pieces until crisp. Remove bacon to paper towel to drain. Leave bacon grease in pan. 2. Add onions to bacon grease in the fry pan; cook until just tender, about 3 minutes. 3. Stir in beans and tomatoes. Cook and stir over medium heat until heated. 4. Stir in spinach; cover and cook until just wilted, about 30 seconds. 5. Add vinegar. Stir in cooked bacon. VIEW THE LIVE appearance on WEAU-TV 13 on Thurs. Jan. 17 at 4 p.m.